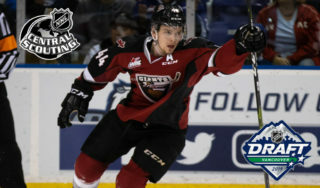 The Vancouver Giants are now 1-1 on their current six-game Central Division road trip. Sunday afternoon at the Saddledome in Calgary the Giants (23-9-2-0) dropped a 4-0 decision to the Calgary Hitmen (16-16-2-1). 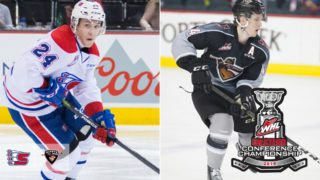 Toronto Maple Leafs prospect Riley Stotts scored twice for Calgary while James Malm had four assists. Rookie goaltender Jack McNaughton stopped all 25 Giants shots to secure the shutout. Giants netminder David Tendeck made 39 saves on 43 Calgary shots. The Hitmen scored a pair of goals within the first 6:44 of the period. Riley Stotts notched his 11th of the season off the rush at 3:30. Then Jake Kryski netted his 18th goal of the season off a shot from the right-wing circle on a power play. Calgary outshot the Giants 12-6 in the opening frame and led 2-0. Hitmen captain Mark Kastelic extended Calgary’s lead to 3-0 at 5:29 of the second when he deflected home a point-shot from Egor Zamula. His 26th goal of the season was the first five-on-three power play goal surrendered by the Giants in 2018-19. Calgary outshot Vancouver 15-11 in the middle frame. Riley Stotts rounded out the game’s scoring at 4:48 of the third period when he knocked home a Ryder Korczak rebound. The Hitmen outshot the Giants 16-8 in the final period as they managed to secure the 4-0 victory and the second shutout of Jack McNaughton’s young career. 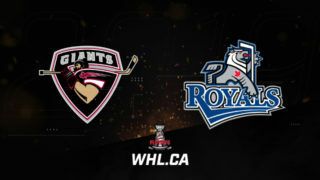 Giants Next Game: Tuesday, January 1, 2019 at 1 PM PT in Edmonton against the Oil Kings. Sunday’s loss marked just the second time this season that the Giants have been shutout. 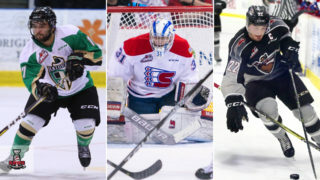 Their only other shutout loss came on November 11th at home against Prince George – A 1-0 decision. Sunday’s game marked the 200th career WHL game for Giants forward Owen Hardy. 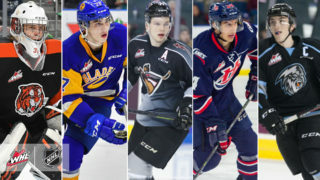 The Vancouver Giants road record now sits at 8-4-1-0. 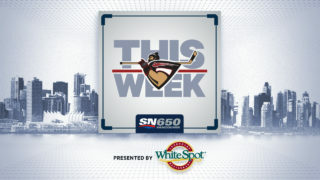 The last time the Calgary Hitmen defeated the Vancouver Giant at home was January 6, 2013. The final score that night was 5-4. The Giants are 5-1-2-0 against Calgary over the course of their past eight meetings.